While learning the literature in Ramsey-Savage decision theory in order to come to grips with the Humean model of utility-maximizing rationality that Ned and so many others took for granted, I once complained to him that I could retain the proofs and theorems in mind only long enough to write down what I wanted to say about them, after which I immediately forgot them. Each time I thought I might have something more to add, I had to start over again, virtually from scratch. “It’s like that for all of us,” he replied. That is the way he was: guileless, with this strange intellectual humility that only a deeply rooted philosophical self-assurance could have produced, an Emperor’s New Clothes wild man, his instinctive reactions unconstrained by strategic professional calculation, blithely letting slip closely guarded secrets about the human vulnerabilities of the field, its treasured theories, and its members; constantly flouting the unwritten rules of silence, stonewalling and obfuscation that governed the decision theory men’s club of which he was a lifetime member; always spontaneously dishing up insights, references, and arguments that called his own views into question, as though knowledge and competence in this arcane subspecialty were intellectual goods to be distributed as widely as possible, regardless of advantage, rather than weapons and armor to be jealously guarded, shared and traded only with other members. He didn’t even seem to get that he was a member: that he wasn’t supposed to confirm the validity of critiques that came from very much outside that club; or to encourage arguments and interpretations that no card-carrying member of it would make; or to initiate into the mysteries of the Sure-Thing principle, the Strong Independence Axiom, dispersion of probability distributions, average discounted value, commodity non-complementarity, the standard reduction assumption, etc. someone who could never have hoped to join. He seemed not to notice that, and treated me as though in fact I had; indeed, as though I were as much a member as he. One time I told him about a decision theory conference he had been unable to attend, where I’d had to explain to one of his presenting colleagues what a money pump was in the Q&A. I joked that it had been my finest hour. “Mine, too,” he answered. As he never tried to hit on me, or even evinced any interest in doing so, I didn’t quite know what to make of him, and of his unstinting support for my work. He had made an about-face transition from student and son of University of Michigan English Professor Joshua McClennen in the 1950s to Port Huron founding member of SDS in the 1960s. Perhaps this metamorphosis had taught him to value outsider challenges to inner-sanctum authority as worthy of cultivation in themselves. For he was that way from the very beginning. He had seen the importance of Rawls’s theory of justice many years before A Theory of Justice was published, completing a dissertation on Hobbes, Hume and Rawls, Justice as an Object of Rational Decision, at Johns Hopkins under the supervision of Maurice Mandelbaum in 1968. Later he learned that one member of his Ph.D. defense committee had refused to award him honors because he’d had the poor judgment to have connected the work of Hobbes and Hume to an “unknown” contemporary philosopher. He became a close friend and colleague to Rawls long before most of us realized how much he was worth befriending. 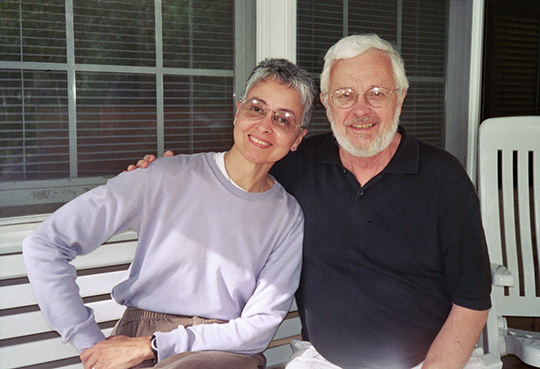 While teaching at Harvard in 1978, Ned and his wife, the cultural theorist Ellen Esrock, invited Rawls and his wife Mard to dinner. By that time, everybody wanted to be Rawls’s friend. So he was both surprised and pleased to realize that they were Ned’s and Ellen’s only guests. He was able to relax and enjoy a lovely evening that cemented their friendship. 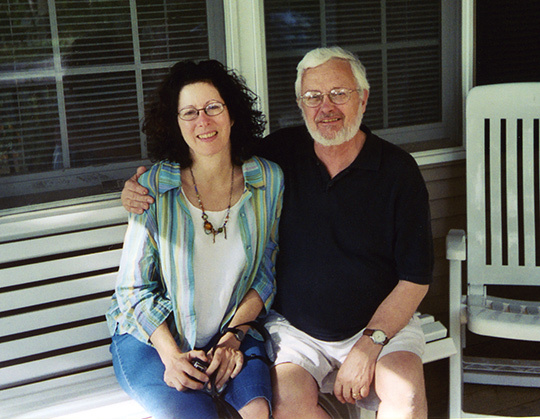 Ned and I met at the Café Pamplona in Cambridge in 1976, while he was an associate professor at Washington-St. Louis visiting Rawls to talk about their work, and I was a graduate student taking Rawls’s moral philosophy seminar. Ned and I immediately got into a discussion about Arrow’s Impossibility Theorem that taught me everything I needed to know about it. It was clear to me from that first discussion that he was a wonderful teacher who must have been superb in the classroom. And in fact over the course of his long teaching career, he gathered a sizable number of former students and graduate students who remained devoted to him and his work. For my part, I was surprised that there was so much about Arrow’s theorem that could be taught and discussed. I had been used to puzzling out these matters mostly in solitude, disparaging my own objections as symptoms of incomprehension, using lots of guesswork and relying on references that required yet more guesswork, supplemented by occasional curt, cryptic or dismissive answers to my insistent questions that conveyed to me that asking them had been out of place. Ned taught me to respect my intuition that these issues were no less appropriate targets of philosophical critique and analysis than any other. He confirmed the legitimacy of interrogating foundational assumptions that all of the other philosophers around me were very eager to regard as settled and self-evident. I learned my Humean skepticism about Humean decision-theoretic axioms from a Humean. And so when I re-encountered him at an APA convention in 1990, still smarting four years after having taken a beating at my first job for presuming to intrude into this club, he actually urged me to send him the offending chapter. A few months later, I received from him in the post a thorough, patient and extremely useful critique, full of arguments I needed to address and recommended readings that would help me do so. And when I called him up eleven years later, after I had absorbed all he had given me, to say how much his encouragement and input had meant to me, he replied that he was awaiting my revised version of the chapter. So it didn’t end there. Once I got comfortable with e-mail, our dialogues about decision theory, game theory and political philosophy became part of my working philosophical life, at a time when I didn’t have many philosophy colleagues left. I tried to express my gratitude by reciprocating with close readings and comments on his work, although nothing I could do would have been enough to repay his support. I never could have taken that support for granted. But I was able to rely on it, always, up to the very end of his life. He was unfailingly generous with his expertise, his criticisms, and his unique gift for making me feel that I had something significant to say. I often called this to mind when sensing the tense atmosphere of anxiety that inevitably developed among my women students upon my introduction of decision theoretic topics into my course lectures. Taking my cue from Ned, I told them flatly that there was no mystery about this material, nor were any special powers needed to understand it. They just needed to read it carefully, repeatedly, underline and annotate it, until the ideas became familiar; to think about and question them, argue with them, grapple with them, and gradually learn the logic behind the proofs. I tried to transmit to my students the attitude of engaged maverick skepticism Ned had communicated to me; and sometimes it worked. The term “selfless” would not do justice to the infectious pleasure he took in discussing, explaining and sharing the esoterica of rational choice theory. Although he purported to be just as much a homo economicus as any other member of that club, he couldn’t seem to resist these renegade departures from the script. His work was that way, too. His interest in decision theory had originated in his desire to improve the rationality of decisions made by his fellow SDS members, so he was a renegade from the beginning. His mastery of the field had camouflaged him well in the presence of his fellow homo economicus club members. But his prior commitment to social justice and to principled action in its service was bound to find an outlet in his work, and it did. Ned’s groundbreaking contribution to the field in his highly influential Rationality and Dynamic Choice (Cambridge: Cambridge University Press, 1990) was to incorporate principled and consistent rule-guided action over time as a rationality criterion into the basic formal apparatus by which expected utility-maximizing choice was defined. Humean decision theorists had relied primarily on the traditional conception of a preference as a desired state of affairs. This reduced the problem of akrasia, in which desire conflicts with and overrides resolve or will, to a conflict between desires for different states of affairs, and therefore to a mere conflict between preferences with different content but equal status. Humeans claimed that this conflict could be resolved by imposing on the relevant preferences the same formal rationality requirements, regardless of content, as those which applied to any other set of preference alternatives: briefly, that they be susceptible to a complete and transitive preference ordering, and that this ordering survive the introduction of additional preference alternatives that enlarged the set. To satisfy these constraints was to maximize an agent’s expected utility. To be sure, stipulating a time lag between the occurrence of the choice and the occurrence of the chosen consequence introduced a dynamic element that seemed at first to refute this reduction: By sticking to my diet (Ned’s favorite example) on Day 1 and breaking it on Day 2, I appear to hold intransitive preferences on the one hand, while maximizing my expected utility at both moments in time on the other. But Humeans invoked the neoclassical economic theory of revealed preference to explain this objection away. According to that theory, a rational agent’s preferences were revealed in his (of course it was always a “his”) behavior. The inference was supposed to be that whatever the agent ended up actually doing therefore revealed the choice that maximized expected utility for that agent at that time; and that this choice could be rationally reconstructed as the outcome of having satisfied the formal rationality requirements described above. So on this view, the fact that my choice on Day 2 to break my diet might conflict with my choice on Day 1 to stick to it in fact did not show my preferences to be intransitive, because my preference ordering had obviously changed in the interim. Accordingly, this reasoning implied that my decision to break my diet on Day 2 was just as rational as my decision to stick to it on Day 1. Hence weakness of will either did not exist or was not important. Of course this reasoning was deeply counterintuitive, for it opened a gap between rationality and prudence, rationality and common sense, and between rationality and reflective resolve that subverted the meaning of rationality itself. The choice between sticking to one’s diet and breaking it is only one of many conflicts that can arise between short-term satisfaction and long-term wellbeing. Ned refuted this reasoning by questioning its background assumption of pure time preference – the ascription of greater value to a temporally proximate preference alternative, solely on grounds of its temporal proximity, than to one that is temporally distant. Pure time preference implies what hard-core Humeans refer to as the separability principle, the idea that an agent’s preferences at a later time should not be rationally influenced by the preferences she had at an earlier time; and therefore that a rational agent chooses among the set of options available to her at each moment in time ab nuovo, without regard to previous choices, the options previously available, or the present consequences of having chosen among those options. Others had criticized this principle, on grounds of its myopia with regard to the sorts of prior determinants and future consequences that in reality are typically relevant to choices one faces in the present. Yet others had proposed to amend it with a concept of sophisticated choice, according to which I choose now for a later moment in time only those consequences that I now know I shall prefer then. So, knowing on Day 1 that I will break my diet on Day 2, I choose on Day 1 not to diet at all. Clearly this solution was not entirely satisfactory, for it did not close the gap between the Humean model of rationality and ordinary prudence. Ned’s solution, by contrast, was to stipulate that a rational chooser who prefers to diet on Day 1 also prefers on Day 2 to abide by the choice he made on Day 1, namely to stick to his diet. On his conception of a resolute chooser, certain kinds of situation demand that an agent choose now in accordance with an action plan he formulated earlier – even though he knew then and knows now that his overriding preference now would have been very different, had he not formulated and committed himself to the plan then. Thus Ned’s resolute chooser identifies himself at each moment in time both with the person he was at the time he formulated the plan, and also with the person he will become at the time he must confront its consequences; and therefore is committed at each moment to following it. Because a resolute chooser is more successful over time at furthering his long-term preferences for certain outcomes than either a myopic or a sophisticated chooser, Ned’s proposal restored both the intuitive connection between rationality and prudence, and thereby the credibility of the basic idea behind rationality as utility-maximization: that it should promote an agent’s success at achieving his ends in precisely this way. It also illuminated much more clearly than the traditional, unreconstructed Humean model of rationality the deep connections between rational choice and the fundamental metaethical issues of personal identity and continuity, the structure of the self, akrasia, and the nature of human reason. Ned’s concept of resolute choice introduced into decision theory a much broader and more fine-grained conception of preference that comprises not only desired states of affairs, but also commitment, resolve, and intention. I have argued elsewhere that the implications of this concept in fact are even more far-reaching than this: It in effect imposes a nomological requirement on rational choice that establishes it as law-governed in the Kantian sense; succeeds where Kant failed, in deriving the obligation of promise-keeping from the concept of reason; and thereby offers a new, intrapersonal solution to the free rider problem. Ned’s achievement in Rationality and Dynamic Choice was of profound proportions. We, the people of the Libyan Jamahiriya Society declare that ours is a Society of splendour and fulfillment, in which all have, without distinction, a right to life, liberty and security. We declare that it is a Society of goodness and of noble values. We also aspire to be a humanitarian Society and a part of a world order in which aggression, war, exploitation, slavery and terrorism have been banished, and where there is no longer a difference between the great and the small. In the Libyan Jamahiriyan Society power belongs to We, The People. We condemn violence as a means of imposing ideas, and offer democratic dialogue in its place. We seek to be a Society in which citizens can be thinkers, creators, and innovators, and where each can become a partner rather than a wage earner. We seek to create a cooperative society in which citizens can be free from fear and want, where each has access to adequate health care, housing, education, and social security and where we, the People, are the guardian for all those who do not have a guardian. Holding sacred the life of each citizen, we seek to do all in our power to protect that life, to insure that all are equal before the law, and that the law itself satisfies the highest standards of justice. It is very difficult not to be viscerally affected by the force and majesty of this statement. In February of 2011, Ned sent it to Saif along with a message imploring him, “in the memory of the ideals that, as my student, you so clearly exemplified, I beg you earnestly to make what will have to be the hardest decision you will ever have to make – to refuse to follow your father and brothers, and instead take up the cause of freedom and justice by joining those who now oppose them.” He never received an answer. Ned’s combination of passion, idealism and fiery eloquence is also who he was. That he was capable of writing both with the rhetorical power this Preamble manifests, and also with the extraordinary technical precision, skill and philosophical depth to be found in Rationality and Dynamic Choice, is remarkable. But above all, he was devoted to his family: to Ellen and his two children, Nathaniel Esrock McClennen and Sarah Pearmain McClennen. This, too, was a commitment as passionate as it was resolute and overriding. Ultimately it brought him back to the United States, and to a Professorship of Political Philosophy in the Syracuse University Departments of Philosophy and of Political Science. There he worked on two projects. The first was to help nurture and bring to fruition in his son Nathaniel the artistic talent that had first surfaced in his maternal great great grandfather, the Hudson River School Painter George de Forest Brush; and had manifested itself as well in Ned’s own love of the arts. The second was his book manuscript, Rational Society: Foundations for a Theory of Rights and Justice. In sensibility, this work is the legacy of a family preoccupation with consistent and impartial principle inherited from his paternal grandfather and namesake, Edward McClennen, the brilliant lawyer and founding partner in the old Boston firm of Nutter, McClennen and Fish. (In September 2009, in a very expensive restaurant in Groningen, The Netherlands, Ned and I had a spirited conversation comparing notes about what it was like to come from this kind of family. In the end he had to concede that mine was by far the more dysfunctional.) In intellectual scope, it is the legacy and mature culmination of Ned’s early interest in the relation between justice and rational choice. Rational Society revisits the late 20th century project of providing value-neutral, rational choice foundations for a substantive conception of a just society – with the benefit of hindsight about the obstacles to such a project that Rawls, Brandt, Gauthier and others had encountered. The implications for game theory of the more powerful model of rational choice Ned developed in Rationality and Dynamic Choice are explicated in this unfinished work, and extended to underpin a theory of justice based on cooperation. During the last several years of Ned’s life, his son Nathaniel developed an interest in Buddhism; and so – being the father that he was, Ned got interested in it, too. This led us into new topics of mutual interest to discuss, related to the emphasis on self-regulation common to Buddhist and Yogic philosophies: diet, fasting, exercise, various forms of meditation and therapy, and, ultimately, life and death. He remained an avowed atheist but not a militant one, his attitude toward mortality tempered by the peace and universality of the Bahai faith in which he had been raised by his mother, Polly Pearmain McClennen. Being a reasonable man as well, he was willing to agree that the death of consciousness did not follow in any obvious way from the death of the body and of the ego; and that whatever became of consciousness after that in any case could not violate the law of the conservation of energy. Ned was all energy, all the time; full of energy for his work, his family, his life, his teaching responsibilities. Once while Ellen was working with Umberto Eco in Italy, Eco invited both of them out for dinner. At the last minute, Ned was unable to join them because he was locked in a struggle with a theorem. Eco was surprised and impressed by Ned’s dedication and commitment to his work. His involvement was so deep that he sometimes seemed not even to notice episodes of failing health; at least they never prevented him from making plans for the future. I was very surprised to learn, after his death, how much older than me he was. He certainly didn’t look or act it. But perhaps that was because I had automatically assumed that he would always be there for me, just as he always had been. He has not yet proved me wrong. Adrian M. S. Piper, Rationality and the Structure of the Self, Volume II: A Kantian Conception, 2nd Edition (Berlin: http://adrianpiper.com/rss/docs/PiperRSSVol2KC.pdf , 2013), Chapter IV. “McClennen on Resolute Choice,” 164-187.